King Elessar is on the hunt. What, you thought that after his coronation, the legendary Strider himself would give up on the occasional hunt? This amazing imagining of an elder Elessar comes courtesy of Adam Middleton, a lead concept designer at Weta Workshop based in Wellington, New Zealand. 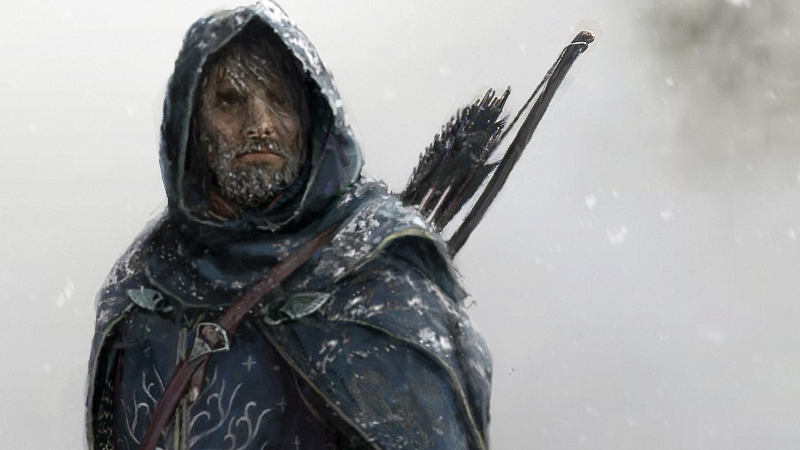 Middleton came up with the idea for the image—described as depicting a post-Return of the King Aragorn as hunting down a renewed evil, “forcing him back into his ranger ways of old”—for an art challenge at Weta this past April, re-imagining new takes on the Lord of the Rings hero. I’d watch a Viggo Mortensen-starring limited miniseries about this, wouldn’t you? The Helm’s Deep one is actually available for sale directly through Weta, if you’d like to gawp at it on a wall instead of just digitally. You can see much more of Middleton’s art, covering everything from Ghost in the Shell to Star Wars, over on his Artstation account.